Not unlike Beth Hart, Dana Fuchs has both the fortune and the misfortune of kind of sounding like Janis Joplin. In fact, both of them were cast to play Joplin in the musical ‘Love, Janis’. The comparison is a compliment, but also sells them short. Fuchs’ new album ‘Love Lives On’ is the ultimate proof of that. Musically, the album is much more reminiscent of the great southern soul records put out by Stax Records than any album Joplin ever was a part of. ‘Love Lives On’ is not a hollow exercies in nostalgia though; this is beautiful, timeless music. Fuchs’ backing band on ‘Love Lives On’ features a a couple of soul veterans, among which drummer Steve Potts and organist Reverend Charles Hodges. They certainly add to the album’s authentic soul vibe, but what really makes the whole thing work is the excellent songwriting courtesy of Fuchs and her long-time guitarist Jon Diamond. While a lot of contemporary albums in this style rely heavily on the grooves and musical interaction, every song on ‘Love Lives On’ stands out and will stick to your memory. Fuchs’ smokey, raw-edged, yet highly melodic vocals are the icing on that delicious cake. Another thing that makes ‘Love Lives On’ a pleasure to listen to is its nearly flawless flow. It makes you want to listen to the album all the way through. There are a couple of more americana-tinged songs grouped together near the end of the record that, while good – ‘Battle Lines’ is gorgeous – would have worked better if they were distributed more evenly across the album. The rest of the tracks vary nicely in tempo and intensity, moving pleasantly between upbeat soul tracks like opening track ‘Backstreet Baby’ and powerful ballads like the purring organ-based gospel of ‘Faithful Sinner’. Traditional soul tracks like the horn-heavy ‘Callin’ Angels’, the euphoric ‘Same Sunlight’ and the relaxed ‘Sittin’ On’ would not have sounded out of place on one of Otis Redding’s records. Fuchs even made Redding’s ‘Nobody’s Fault But Mine’ her own completely. Standout tracks for me are ‘Sad Solution’ and ‘Sedative’, both of which are built upon an insistent, almost dangerous, yet not too propulsive groove. It is possible that the underlying sense of anger appeals to the hardrocker in me. The supreme build-up from its subdued verses to its triumphant chorus turns ‘Ready To Rise’ into a highlight as well. So does its guitar solo. ‘Love Lives On’ is slightly less “rocky” in approach than ‘Love To Beg’ and the blues influences aren’t as pronounced as on ‘Bliss Avenue’, but that should not be a turn-off. This is one of the best soul albums released in many years. It has simply everything you could wish for if you like the genre. Each song features spirited grooves, intensely passionate vocals and a musical interaction that is of complete and total service to the well-written songs. Anyone who longs for the late sixties and early seventies records of Stax and Hi Records should definitely give this excellent record a spin. While OverKill had line-up changes before guitarist Bobby Gustafson left in 1990, but Gustafson contributed heavily to the songwriting. Therefore, there must have been some sense of anticipation leading up to the release of 1991’s ‘Horrorscope’. It was the first OverKill record with two guitarist – always a plus – and it seems to explore the boundaries of OverKill’s vicious thrash metal sound more than any other of their albums, including its highly varied predecessor ‘The Years Of Decay’. For what it’s worth, I think it’s their best record, combining the hungry aggression of their early days with just the right amount of experimentation. Songwriting-wise, the transition is not as large as one might expect. The songs are a little more to-the-point than those on ‘The Years Of Decay’, but the main ingredients are still the same: heavily pulsating riff work that shifts between fast thrash and more pounding mid-tempo tunes, Bobby ‘Blitz’ Ellsworth’s rough, relatively high-pitched throat and generally simple, brutally effective choruses. The album’s biggest asset is in the degree of variation. The lesser albums of the band tend to get a bit samey as the album goes on, but literally every song on ‘Horrorscope’ sounds different than the others. The varied nature of ‘Horrorscope’ is often emphasized by pointing out the most experimental tracks on the album and it must be said: the experiments are very successful. ‘New Machine’ manages to inject a great deal of groove into the sound without forsaking the band’s thrash roots and ‘Soulitude’ is the greatest power ballad the band released to this day due to its dark atmosphere, its excellent use of dynamics and its beautiful guitar solos. The title track sees the band grinding through doomy tempos without going into Black Sabbath-like territory like they did on ‘Skullkrusher’. The palm-muted main riff is simply punishing. However, the more familiar straightforward aggression is every bit as interesting here. Songs like opening track ‘Coma’, ‘Infectious’ and the punky ‘Thanx For Nothin” show OverKill doing what they do best: playing angry thrash metal with as little subtlety as possible. Even within the uptempo songs, different approaches are attempted. ‘Bare Bones’ is one of the most complex songs the band has recorded to date and ‘Blood Money’ has a surprisingly open chorus. The true masterpiece is the mid-tempo thrasher ‘Nice Day…For A Funeral’ though. Especially when after the driving verses and a haunting chorus, a beautifully dramatic guitar arrangement appears in the middle section. Truly a work of art. After the release of ‘Horrorscope’, drummer Sid Falck would leave the band and that is really too bad, because his parts were far more interesting than what other east coast thrash bands were offering. His tinny snare sound is the only downside to the album though, alongside the well-executed, but somewhat unnecessary Edgar Winter cover ‘Frankenstein’. OverKill must have realized that ‘Horrorscope’ was a pinnacle in their career, as last week’s ‘Live In Overhausen’ contains the full album – and debut album ‘Feel The Fire’ – played live and they went in a different direction following the album and did not try to force another ‘Horrorscope’ out. Well worth hearing if you like interesting thrash metal. Atsushi Sakurai was born to sing gothic rock. His deep, emotional baritone belongs in the genre. But somehow, despite their gothic masterpiece ‘Jusankai Wa Gekko’, his main band Buck-Tick does not want to make the full leap into the genre. As a result, he needs to set up projects like The Mortal every once in a while. In a way, ‘I Am Mortal’ is a logical continuation of Sakurai’s solo debut ‘Ai No Wakusei’, but the album leans far more to the goth side of things and because of that, this dark monster of an album feels a lot more consistent. On the ‘Spirit’ EP released a month prior to ‘I Am Mortal’, The Mortal was already quite clear about its influences. Sakurai has never made a secret of his love for Bauhaus and the fact that he covered them – alongside The Damned and Souxsie And The Banshees – on that EP should already give a clear hint of what The Mortal sounds like. The Mission is a clear influence as well, especially in ‘Mortal’. At times, the band explores the noisier end of the post-punk spectrum, however, resulting in intense, aggressive moments such as ‘Barbaric Man’ and ‘Pain Drop -It Rains Cats & Dogs’. While those explosions of energy certainly contribute to the varied nature of ‘I Am Mortal’, the album is best when introspective. ‘Yume – Deep Dream’ has the huge eighties goth production, but in essence feels like a really dark love song. Closing track ‘Sayonara Waltz’ keeps things considerably smaller, being rooted in just Sakurai’s vocals and the classical guitar of Jake Cloudchair, but is no less atmospheric. The album starts in quite a dark, introspective manner with as well with ‘Tenshi’, which is a really good taster to set the horror-like mood of the rest of the album. The calmer moments are not the only highlights of ‘I Am Mortal’ though. ‘Tsuki’ is the opposite end of the spectrum, with its propulsive, straightforward punk beat and intensely repetitive chorus. The rhythmically unpredictable ‘Grotesque’, ‘Guignol’, ‘Dead Can Dance’ and the spectacular ‘Fantômas – Tenrankai No Otoko’ are masterpieces of creepy goth and horror punk and the aforementioned ‘Mortal’, probably the most traditional gothic rock track on here, is simply too catchy and emotional to be ignored. It should be noted that the atmospheric memorability of the choruses is the rule rather than the exception here. Even if you are not adept at Japanese, these melodies will stick. Trust me, I should know. ‘I Am Mortal’ was followed by the impressive live dvd ‘Immortal’, but as of this writing, no new The Mortal plans have been announced. I truly hope there will be a sequel to the album though, because the album shows Atsushi Sakurai doing what he does best: singing dark, emotionally laden gothic rock songs. His love for the genre oozes out of the album’s pores. Also, Sakurai and his band mates appear to have a very strong connection musically, so it would be a pity to not hear more of this. Even the classic goth bands cannot quite reach these heights anymore. When neoclassically inspired guitarists start a solo project, the records are often filled with flagrant displays of virtuosity. Fumihiko Kitsutaka however, presumably through his career as the guitarist for eighties hardrockers Arouge and crazy eclectics Kinniku Shojo Tai, learned a lesson or two about songwriting. Sure, his impressive dexterity is fairly prominent on his solo debut, but the real stars on ‘Euphoria’ are the compositions and the arrangements. 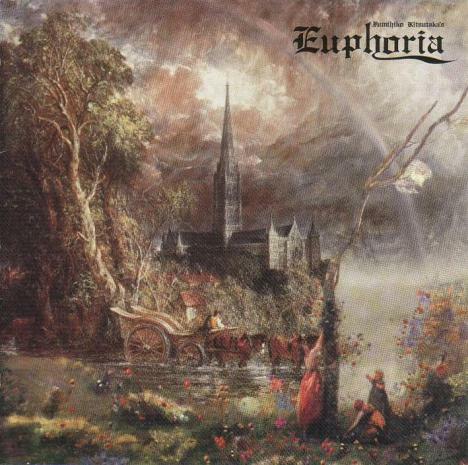 Clearly, Kitsutaka wanted his songs to enchant the listener rather than his technical profiency and because of that, ‘Euphoria’ is one of the better neoclassical hardrock and power metal albums out there. In the booklet, Kitsutaka is credited as “master of guitar orchestrations” and that may actually be the biggest asset of ‘Euphoria’. Not only are there plenty of Queen-inspired guitar harmonies, the use of acoustic guitars is incredible. Sometimes it is just a ringing chord adding some brightness to the top layer, other times nylon stringed classical guitars provide the perfect accompaniment for Tetsuya Saito’s vocal delivery. The use of only one singer also contributes to the album’s consistency, while the changing rhythm section – two drummers and three bassists share duties – is likely chosen to add different flavors to the rhythms. For all intents and purposes, ‘Euphoria’ is a rather unusual solo album for a lead guitarist. Sure, there are songs like the powerful neoclassical hardrocker ‘The Room (Named Desperation)’ and the virtuosic instrumental ‘Justice Of Black’, but they don’t dominate the album. Even when songs like the stomping headbanger ‘Deep In Love’ and the energetic power metal track ‘Sacred Garden’ seem to invite Kitsutaka to cram the solo section full of sweeps and classical scales, his lead guitar work is always melodic and tasteful, while the memorability of a chorus seems of equal or greater importance to the guitarist. There are a few real surprises on ‘Euphoria’. First of all, the relaxed romanticism of ‘Nursery Rhyme’ features Kitsutaka almost exclusively on the classical guitar, save for a powerful electric solo. ‘Dance Desire’ is a strong hardrocker that combines a relatively heavy bottom end with a rather atypical swing in the rhythm department, while ‘Losing You’ combines distinct melodic touches with some aggressive start-stop riffing and a busy chorus with some of Saito’s most passionate vocals. 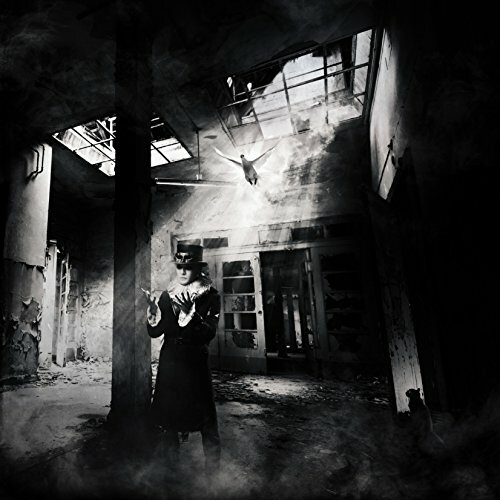 Saito really ties this album together with Kitsutaka anyway, as his lower take on visual kei-inspired vocals gives the album part of its unique atmosphere. Sonically, ‘Euphoria’ also forsakes the spotlessly clinical sound usually associated with these types of releases and opts for a highly dynamic, organic sound that really feels like a band playing together. All of this contributes to an album that, despite being of a style that has been attempted before, has a very fresh feel. There is no pretension or showing off on ‘Euphoria’, just a group of musicians wanting to make the best album that could possibly be made at the time with the means at their disposal. More bands should attempt that approach. If anything, ‘Euphoria’ proves that it works.